American Banknote Company. 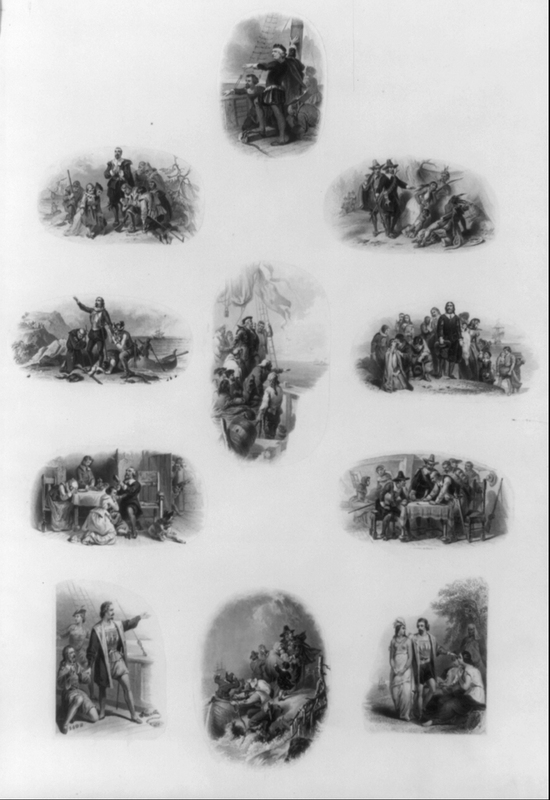 “Bank note vignettes showing pilgrims, Christopher Columbus, and possibly other explorers landing in America on board ship.” Between 1874 and 1888. Library of Congress Prints & Photographs Division. ADVERTISING IMAGES. NATIONAL BANK NOTE OR REPUBLIC . I’M TRYING TO FIND OUT ANY INFO. You can try asking a librarian, a free Library of Congress service. You might also be interested in viewing more bank note images.